You look so pretty in blue with it! der Rock steht dir übrigens super. Ich finde, dass nicht jeder diese Midis tragen kann, aber sieht richtig hübsch aus !!! Adorable outfit! Love that skirt! 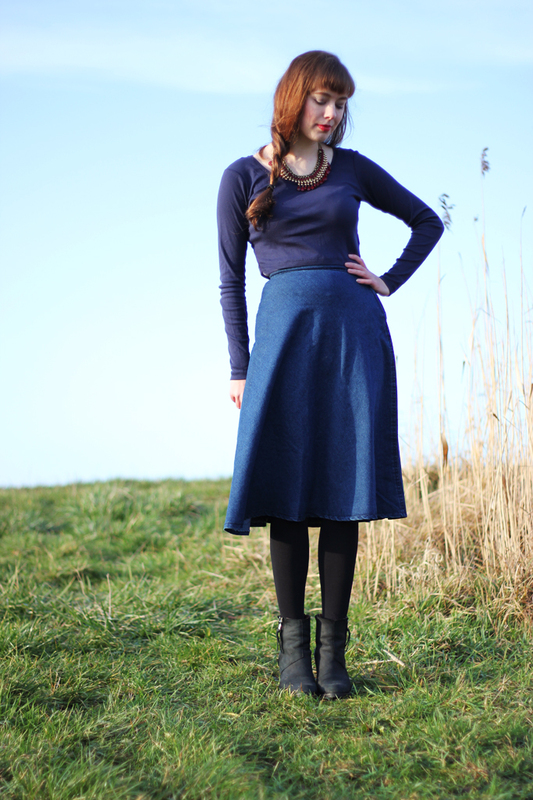 My favourite type of skirt at the moment, perfect with pistol boots! I really love your necklace!!! dear i love your style! beautiful neklace! Gefällt mir gut, eine Synphonie in blau. :) Ich hätte wohl spontan andere Schuhe im Kopf gehabt, da ich nicht gedacht hätte, dass Boots so gut zu Midiröcken aussehen. Du hast mich eines besseren belehrt. such a pretty outfit. and i love that skirt so much ! 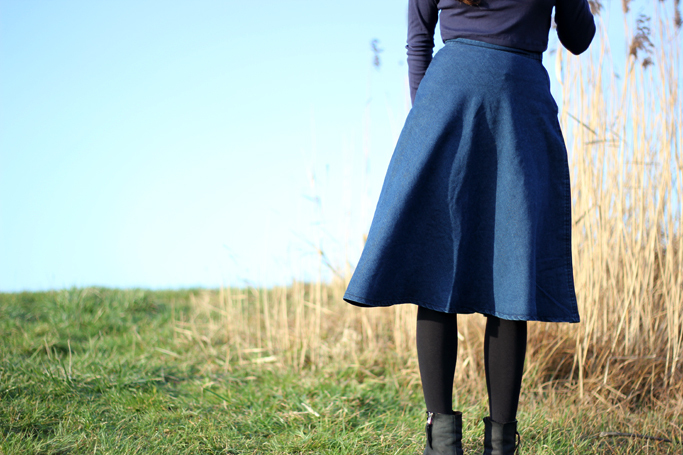 This skirt looks amazing on you! 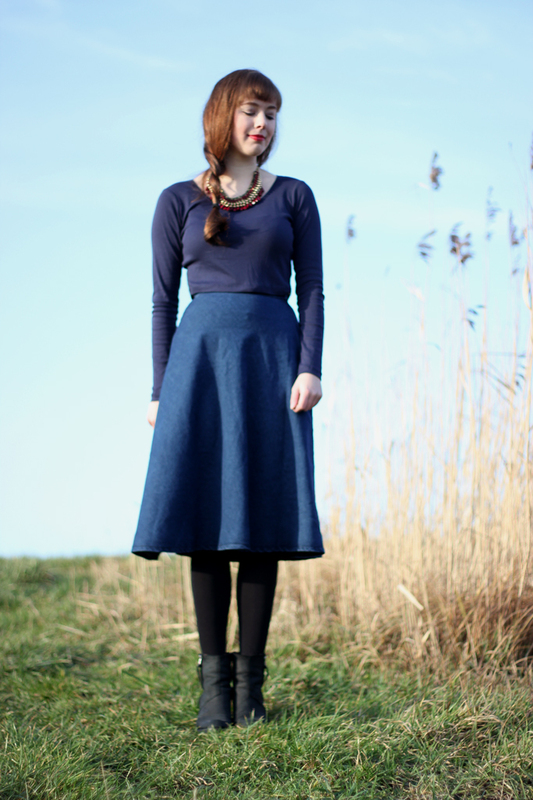 I wish a was a little (a lot) taller so I could wear midi skirts too! Bonito look y bonitas fotos! Lovely outfit! I love your necklace and skirt! Super cute! thanks for your comment! estas guapisima! me encanta tu look! What a lovely skirt:) And that necklace is such a great accessory. Was für eine tolle Kette! Der hammer!!! I like the necklace :D ! 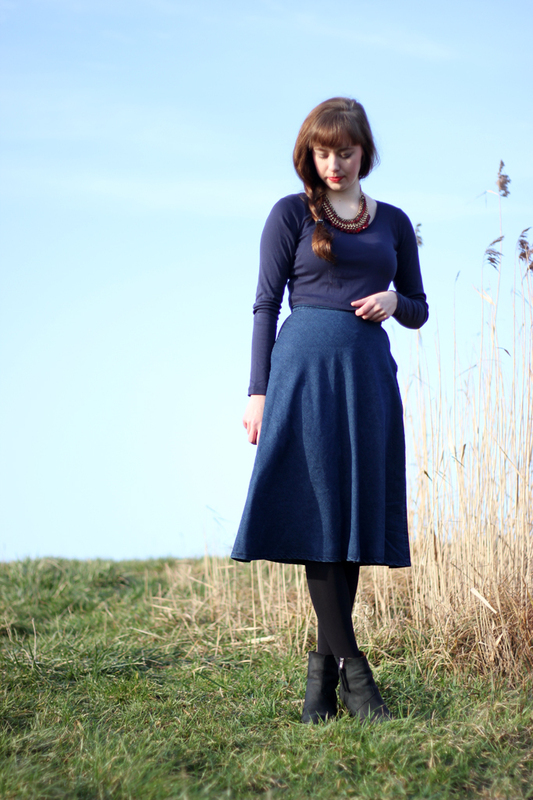 Lovely post, that skirt is gorgeous! 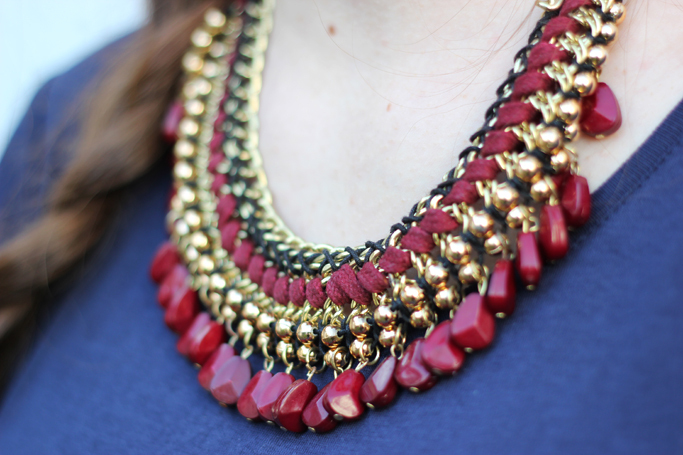 I thought from looking at your necklace it was an accessorize piece, such a bargain that it's from primark! Super pretty outfit love! Love your style!